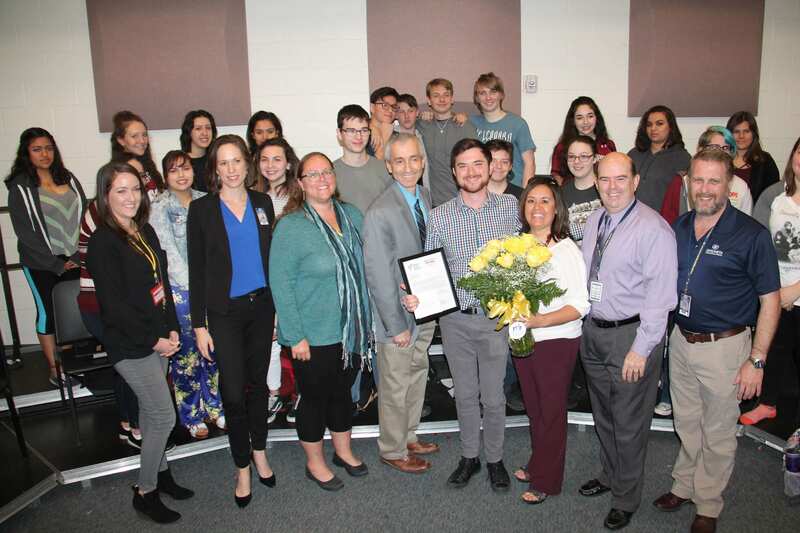 Mr. Lebovitz–a 9-12th-grade Choir/Drama teacher at Walden Grove High School in Sahuarita Unified School District–received the February 2018 Teacher Excellence Award! He received flowers, school supplies and $100 gift card from Office Depot/OfficeMax, as well as a plaque and a $250 cash award from TVT! 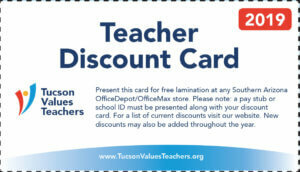 Also in attendance to celebrate his award; Sahuarita Superintendent of Schools/Dr. Manuel Valenzuela, Walden Grove High School Principal/Teresa Hill, Assistant Principal/Hector Estrada, Sahuarita School Board President/John Sparks, Sahuarita Mayor and School Board Member/Tom Murphy, School Board Clerk/Dalia Zimmerman, as well as Mr. Carle-Ogren. To complete the presentation, the choir was treated to celebratory donuts, which were enjoyed by all!